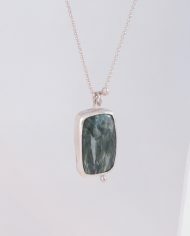 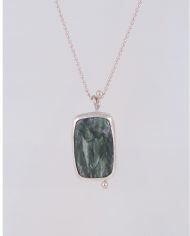 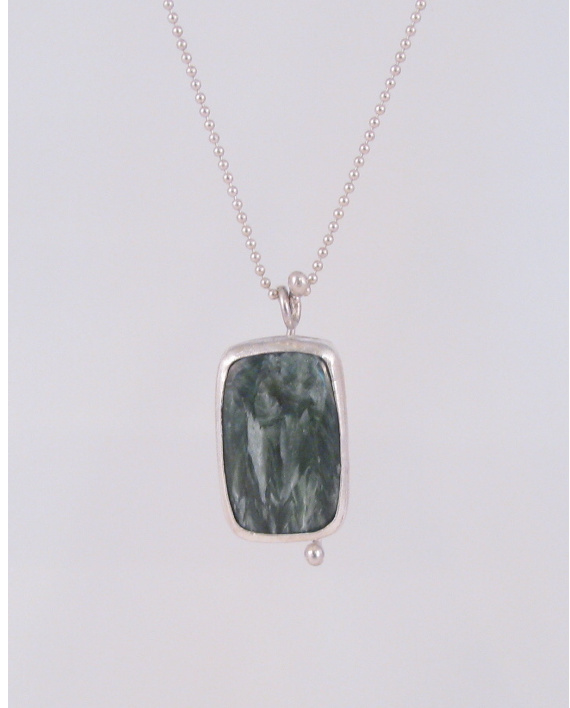 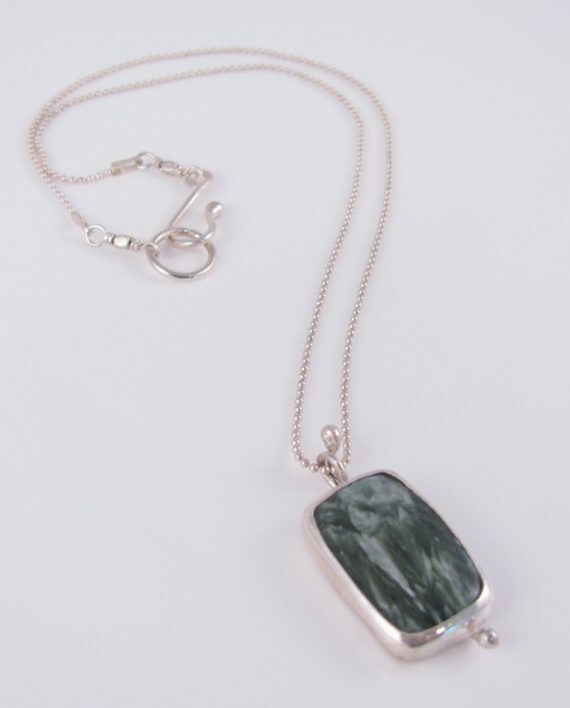 This sterling silver necklace features Seraphinite – a semiprecious stone from the chlorite group of gemstones. 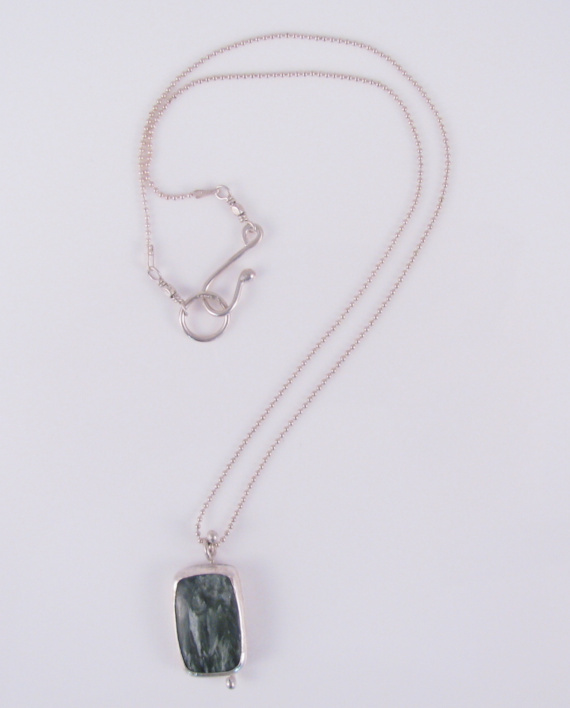 The name seraphinite comes from the Greek word “seraphim”, which refers to a celestial being with three pairs of wings. 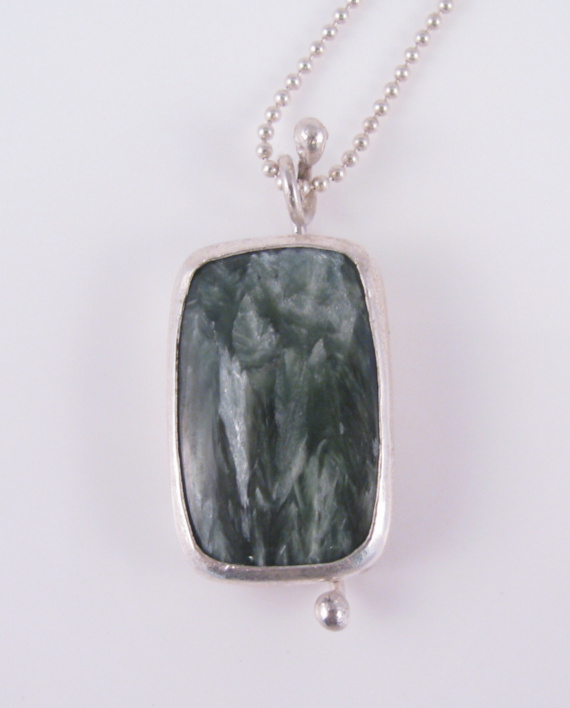 This could be due to the silvery feather-like chatoyant fibers that can be seen in the stone. This particular cabochon is a combination of deep gray-green, with many silver highlights that catch the light. 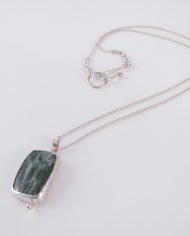 Some believe Seraphinite brings positive energy, harmony, and balance to the body and mind – particularly in the cells of the body and the heart! 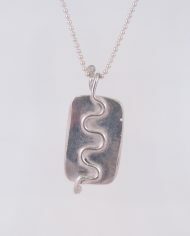 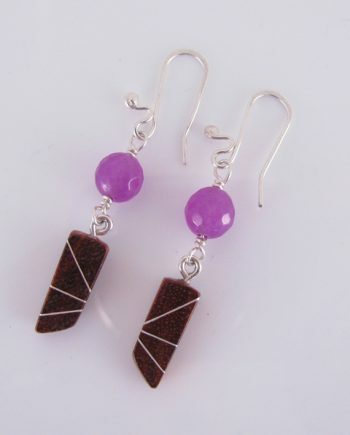 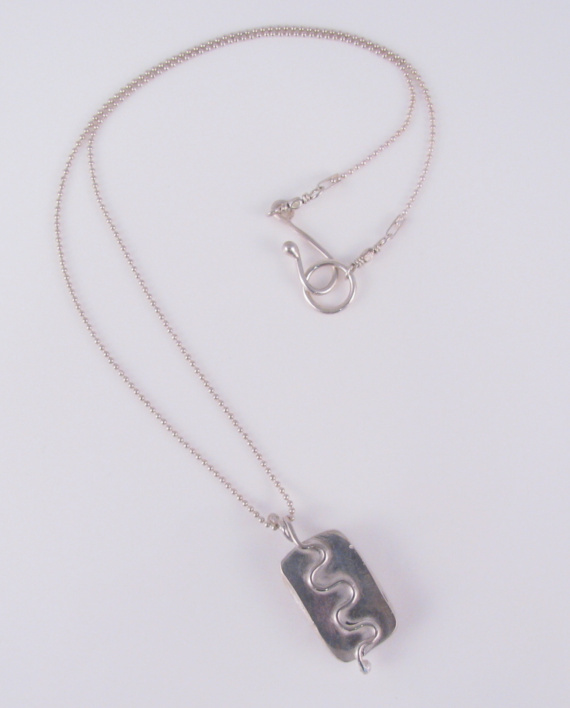 The rounded, rectangular pendant is set in sterling silver, with a “secret” backing designed with a wave pattern. 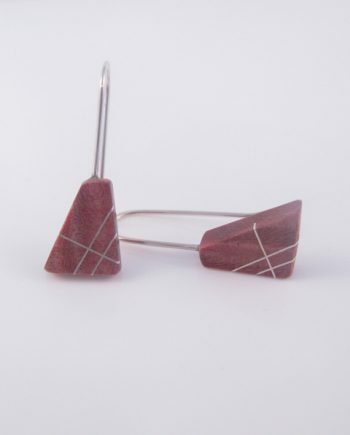 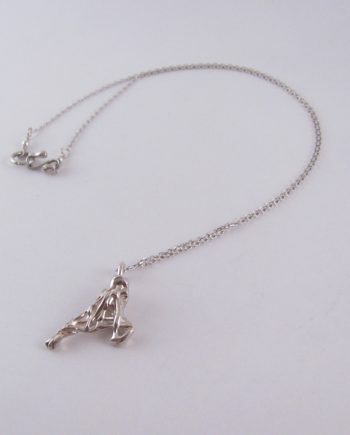 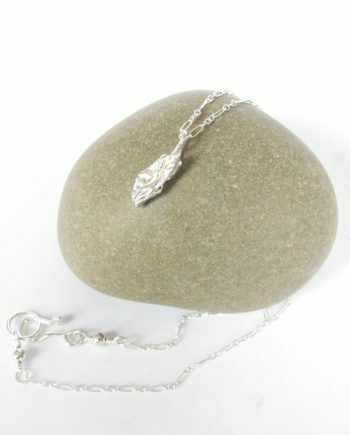 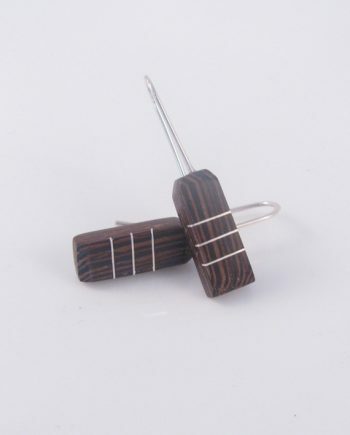 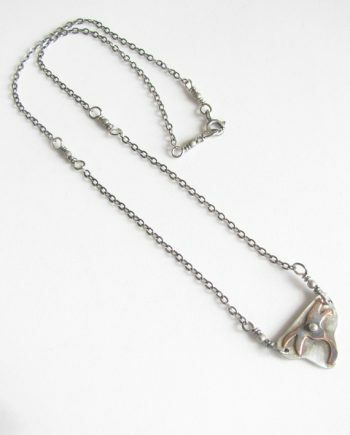 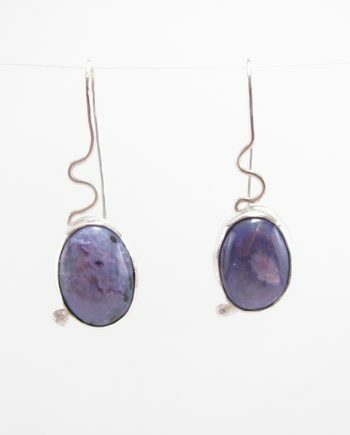 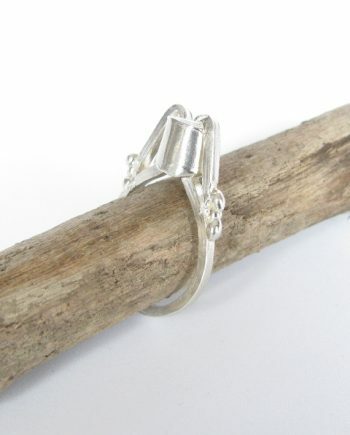 The piece is paired with a sterling silver ball chain and hand-forged clasp.